What’s actually been pestering me all month, as I gather bank statements, tax statements, read over the inspection addendum, the closing disclosure, sign this, scan that, etc., is that something that should be so exciting gets so bogged down by plain old paperwork. Although it’s hard to escape one’s nemesis, I have to laugh at myself and my insignificant groveling when I think of the trámite we went through in purchasing a car in Chile. We did about 6 months of trámite before we could start our travel company. This is an example of pure trámite, you already got the job! I have to take the afternoon off of work to do some trámite. But really, you have to experience it first-hand to feel the full frustration that trámite can bring on. 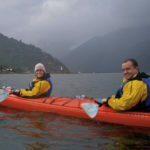 Read on for a throwback post written in October of 2009, two months after Jordan and I got married and moved to Chile to start our adventure travel company, Knowmad Adventures. This post makes my current closing trámite look like small potatoes! The perils of moving to foreign countries for extended periods of time are many. What in more geographically and culturally familiar locales would be straight-forward, simple, and free of pain, suddenly become as probable and enjoyable as juggling eggs while running on a beach ball down a New York City street during rush hour. Neither this fact nor experience is new to me, but setting up a business elevates the stakes even further. We’ve finally found our car after traipsing across the city countless times. She’s a beauty, seems to have a firm engine and the price is right. Before leaving the States we’ve dumped all our money into one bank account that, on paper, will save us money while banking overseas. We’ve also set it up by filing paperwork ahead so that a wire transfer for a large quantity of money will be immediate and only require one fax. Or so we think. The Chilean banking system is stringent. A good thing in light of the recent crisis which affected Chile much less than other economies in spite of their copper and salmon exports which fuel the economy and very much tie it to the global economy. A bad thing, however, for me. A wire transfer requires a receiving bank account. Not having our residency cards yet, we’re not allowed to open a Chilean banking account. Nothing like having thousands of dollars wired into someone else’s account to start your day off right. On top of that, they require a minimum of seventy-two business hours on their end to clear the transaction. They also need to “verify the funds” when coming from abroad which adds more time. Of course this information is only obtained after waiting through thirteen lines in six banks, and there is the small and tiring detail that this is all done in a non-native tongue. ATMs in Chile only dispense small quantities meaning I would have to go to something like ten ATMs a day to reach my daily limit over a period of nine days to get the dough, not to mention carrying around wads of cash in a bustling capital city, so that option is out. Our American bank also requires the fax, and international faxes of course aren’t the thing of your run-of-the-mill call center kiosk. When all is said and done, we pay a large chunk of cash to assuage the selling party to hold the car for a week while we sit on our hands, pull out our hair, curse bankers, and just barely avoid tantrums. The whole time we’re sweating tsunamis as Tara’s grandparents are set to arrive for a city tour and then we’re scheduled to head to the wine region in our new wheels for appointments with hotels, restaurants, etc. that we may work with in the future. We get the car the day before we have to head to Santa Cruz. Of course, as foreigners, all the documentation needs to be done in a notary’s office (line number four hundred and thirty two). Then we need to find an insurance office in the city and get it inspected and insured. Last but not least, as many of Chile’s roads are privately owned (little of the socialist Chile of the late sixties and early seventies can be seen in what today is a highly capitalistic country), we need to get an automatic toll mechanism to avoid exorbitant fees in the coming months. Oh, and there’s only one office that is qualified to sell the device to foreigners, which happens to be across and outside the city…but you can’t drive or you’ll have to pay the fines. I’m balder every day. The fruit that’s hard to come by tastes even sweeter, and we finally roll out of the city elated in our seven passenger SUV. Tara’s grandparents are seasoned travelers who joined us in Thailand years ago. They jumped on the chance to join their friends on a trip sponsored by the Minnesota arboretum knowing we would have recently arrived. After taking them on a city tour, they join their group and head for Santa Cruz. It’s a great opportunity to be with then while visiting many of the spots we have chosen to preview for our Santiago area tour, so we meet them in the fertile valley. Their tour takes them the following day to the Viu Manent vineyard, which from our research we know is a top vineyard candidate to be in our tour as well. Rolling into the vineyard I’m nervous. This is a big moment: to be better than our competition it’s imperative that we see first-hand and test all hotels, restaurants and activities that will be featured on our tours. Great right? We get to do all kinds of fun things. The problem is these things cost a good deal of money and we’re not aiming to spend our entire savings on nine different vineyard tours. So this is the first big test on whether my explaining who our company is and what we’re doing, coupled with some salesmanship, sharp clothes, business cards, and a marketing flier, will be enough to get us in the doors without cracking the wallet. Before I know it my mark is fetching his manager…the stakes are raising. Marco receives us with open arms and we talk about some details and benefits for tour operators that can be handed down to our clients. We accompany Tara’s grandparents’ tour. Afterwards we’re introduced to the owner of the adjoining equestrian center and he takes us privately on beautiful horses through the vineyard, learning about the different leaves of cabernet and malbec, merlot and carménère. Sunset, tea, a little business, and we’re on our way. This has been a primary preoccupation for months. Encouraging is an understatement and I fall asleep smiling. Within a few more weeks we’ve visited all our targets and been led to many more along the way. We feel we have designed an innovative, fresh trip that will be both active and relaxing while giving adventurers a deep and authentic look at four extremely distinct areas of Chile with minimal travel time. And we haven’t entirely broken the bank doing so. With that done, it’s finally time to make the thousand-kilometer journey to northern Patagonia. All’s well that ends well! I hope you enjoyed this little story from the beginnings of Knowmad Adventures. For more on our personal story starting and adventure travel company read about our last night Stateside or our first Christmas in South America. More recently, I share about motherhood and Knowmad or our first international trip with our toddler. 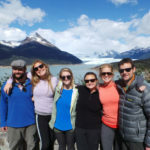 Knowmad Adventures is a South America travel company that builds active, authentic and sustainable trips for the independent-minded traveler. We also strive to foster a community for those same searchers-for-the-unknown. Join the tribe and follow Knowmad on Facebook or Instagram.